French niche line Memo has launched Irish Oud, a new limited edition variation on Irish Leather. Spicy notes of pink pepper are underscored by soft oud and leather accords in Memo’s Irish Oud Eau de Parfum. Oil of birch, iris concrete and juniper berry lend a botanical breeze to this addictive scent. 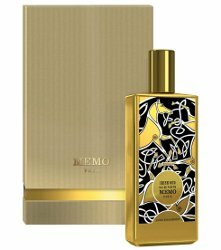 Memo Irish Oud is available now at Harvey Nichols in the UK, £350 for 75 ml Eau de Parfum. The bottle for Irish Leather is pretty much the same and it’s much cheaper (although still not cheap). You could always layer with Demeter Oud.